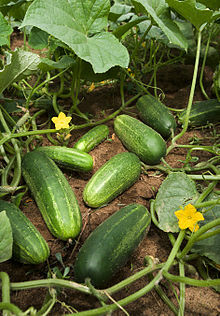 ↑ "Major Crops – By Countries/Regions, Rankings; Choose Cucumber and Gherkins, World". Food and Agricultural Organization, FAOSTAT. 2014. Retrieved 9 September 2015.